Katharyn Hanson, Ph.D., is an archaeologist specializing in the protection of cultural heritage. Dr. Hanson works as a Smithsonian Secretary's Scholar and Cultural Heritage Preservation Scholar. 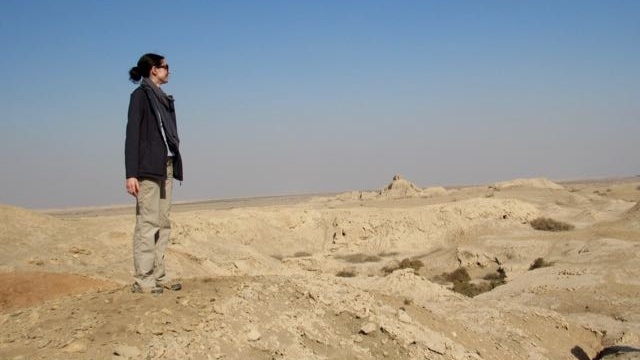 Katharyn received her doctorate from the University of Chicago with a dissertation entitled: Considerations of Cultural Heritage: Threats to Mesopotamian Archaeological Sites. Previously she served as the Executive Director of The Academic Research Institute in Iraq (TARII) and held post-doctoral fellowship positions at the University of Pennsylvania Museum and MCI as well as a visiting research position with the Geospatial Technologies Team at the American Association for the Advancement of Science (AAAS). Dr. Hanson has been involved in various archaeological fieldwork projects for over 25 years and works to promote on-the-ground action to protect culture. She directs archaeological site preservation training at the Iraqi Institute for the Conservation of Antiquities and Heritage in Erbil, Iraq and serves on the Board of The Academic Research Institute in Iraq (TARII). She has curated museum exhibits and published on damage to cultural sites in Iraq and Syria. Her research combines field archaeology, remote sensing, and cultural heritage protection methodology and policy with on-the-ground action to protect culture.